Dr. Rita Mizrahi grew up in Brooklyn, New York, where she graduated from Flatbush High School. She received her bachelor’s degree in biology and sociology from Cornell University, where she was the captain of the varsity equestrian team, and competed in national championships, placing third in her division. Dr. Mizrahi then attended New York University College of Dentistry, while serving as vice president of her class. Upon graduating, she was presented with the Student Leadership, Service, and Scholarship award by Delta Dental. 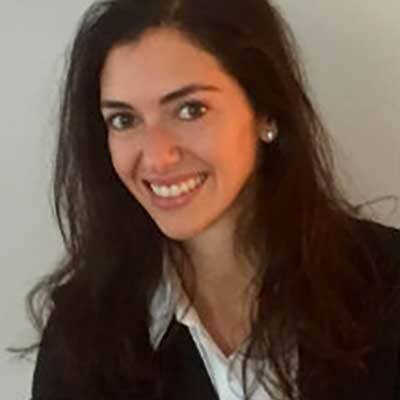 Dr. Mizrahi immediately pursued a residency in oral and maxillofacial surgery, where she was trained in all aspects of the field, including trauma, orthognathic, cosmetic and dentoalveolar surgery. In her free time, Dr. Mizrahi plays polo as a member of the Meadowbrook Polo Club, and enjoys traveling with her husband, David. She currently resides in Huntington.